Getting the opportunity to plan weddings for families is a rewarding career, but it becomes even more personal to me when I have known the family for over fifteen years. This sweet bride is the little sister of one of my best friends from high school, so making sure her wedding day was spectacular was a top priority for me and my team. Showing the reception space to Charlotte, John and her parents before all their guests entered was one of my favorite parts of the entire weekend. 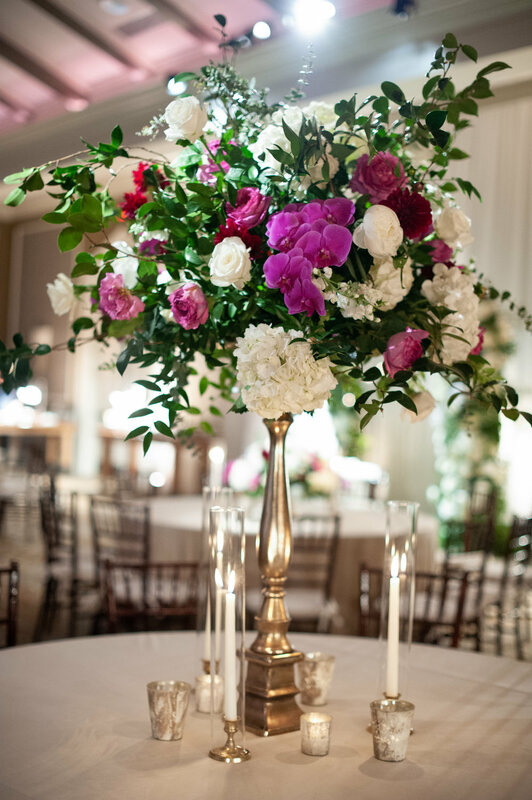 I loved seeing their reactions to the hanging greenery boxes over the dance floor, the perfect pop of fuchsia in their flowers and their magnificent cake display. Seeing them happy and watching them dance the night away with friends and family was a rewarding experience and we thank the Gill family for trusting us with this special occasion. 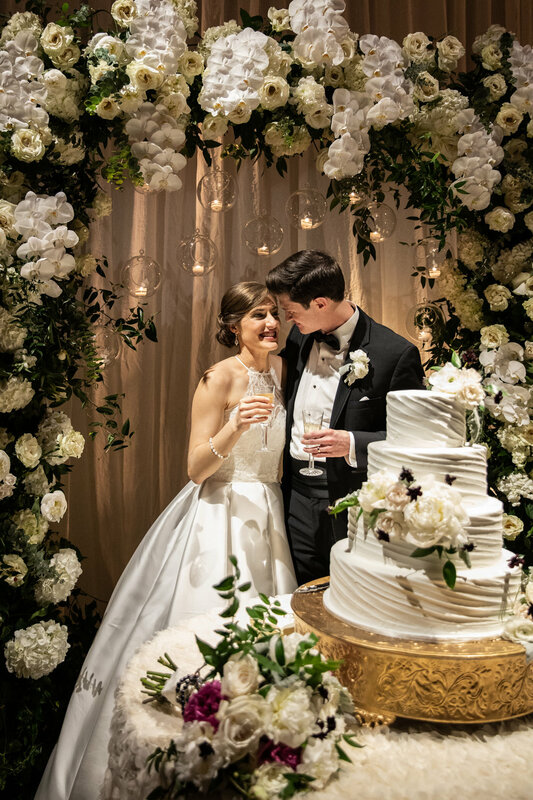 Scroll down to read some advice from Charlotte on planning your wedding and what her favorite part of the day was and of course at the bottom we have some gorgeous photo from Laura Rowe Photography! John and I met during our senior year of college at Vanderbilt University. We knew our relationship was something special pretty quickly. We dated long distance for a year after graduation, but I soon returned to Nashville for law school, and the rest is history! What was your favorite detail of the wedding? That’s so hard! I loved the flowers. I was a bit nervous about them because I didn’t trust my aesthetic “vision,” but Wildflowers did an incredible job—they were better than I could have ever envisioned! I also wrapped a rosary around the bouquet that John had made for me while we were dating. If you could give advice to another bride in the process of planning her wedding, what would it be? It will all get done! Just enjoy what a unique season of life it is. I loved being able to spend time with my mom! She’s amazing! Tell us your overall thoughts and takeaways from the day. 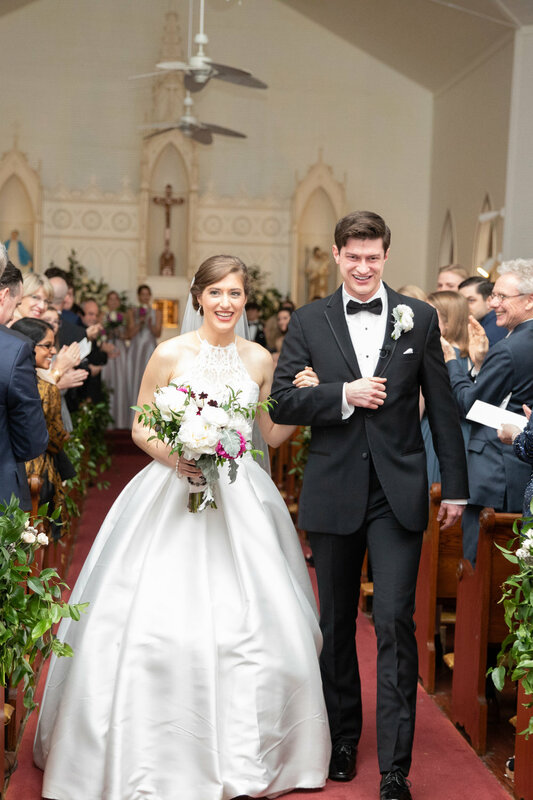 John’s and my wedding was more amazing than I ever could have imagined! I’m not one who always had her wedding mapped out, so I often got overwhelmed with all the decisions. I was (and am) so grateful for Jenna’s experience and expertise.